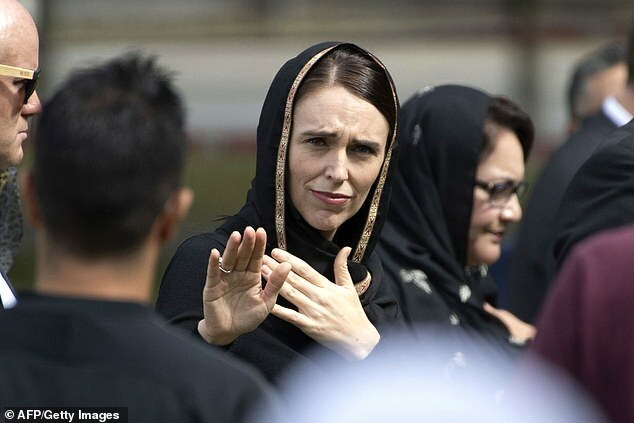 New Zealand Prime Minister Jacinda Ardern has been targeted with vile death threats following the Christchurch mosque terrorist attack. Police are investigating at least two threats made against her life on social media. 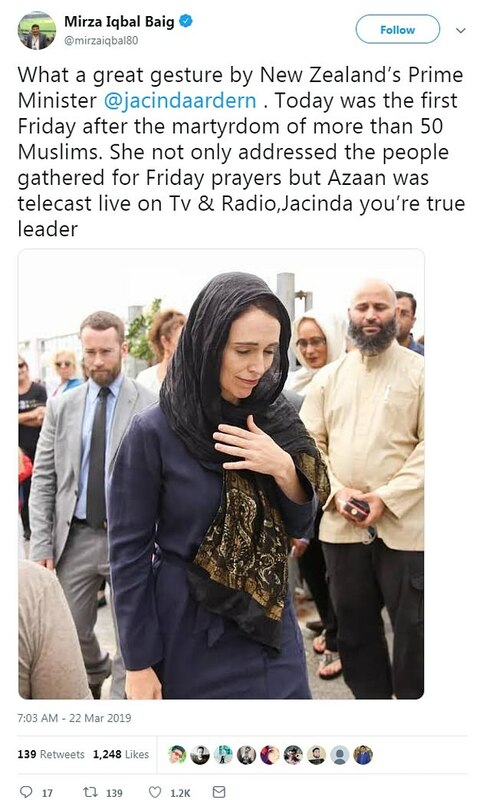 An image of a gun was tweeted to Ms Ardern along with the caption, ‘you are next’; another post – of the same image – was made to the Prime Minister and the police saying ‘next it’s you’. The first post is understood to have stayed online for more than 48 hours before Twitter deleted the account at around 4pm on Friday. A Twitter spokesperson said it took swift action after it received the first report – even though the account had been active for some time and had plenty of anti-Islamic, white supremacist hate speech posts. ‘Our teams continue to work proactively to remove violative and illegal content from the service in relation to the Christchurch attack,’ they told New Zealand Herald. Police have been made aware of the tweets and are making investigating. 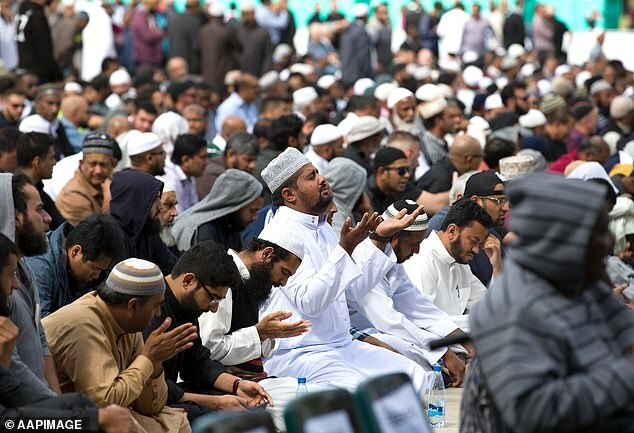 The mass shooting at the Al Noor and Linwood Masjid mosques – which claimed the lives of 50 people – was live-streamed across social media. According to Facebook, the live-stream was viewed more than 200 times and the 17-minute video watched about 4,000 times before it was scrubbed from its network. The social media giant said the first report was made 12 minutes after the broadcast ended and partly blamed its artificial intelligence for its delayed reaction to remove the graphic content. ‘While [AI’s] effectiveness continues to improve, it is never going to be perfect,’ Facebook said in a statement Thursday night. Twitter for their part, spent the following day ‘monitoring and removing any content that depicts the tragedy, and will continue to do so in line with the Twitter Rules’. 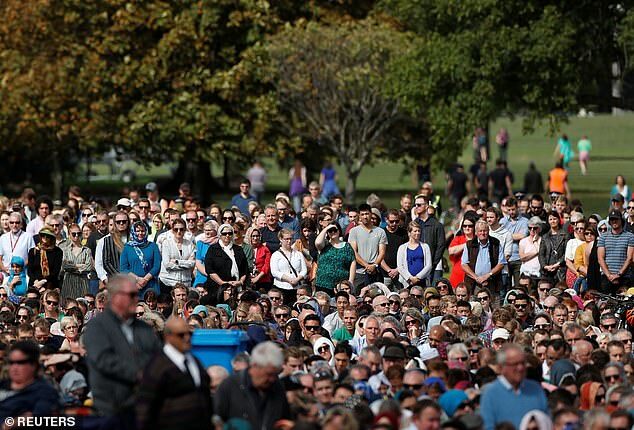 The social media site continued to take an active approach during the fallout of the shooting and tweeted a message of support in line with memorial services that were held across New Zealand on Friday afternoon. ‘Kia Kaha. We stand together with New Zealand’ was posted at 1.48pm, closely after two minutes of silence was observed around the country. 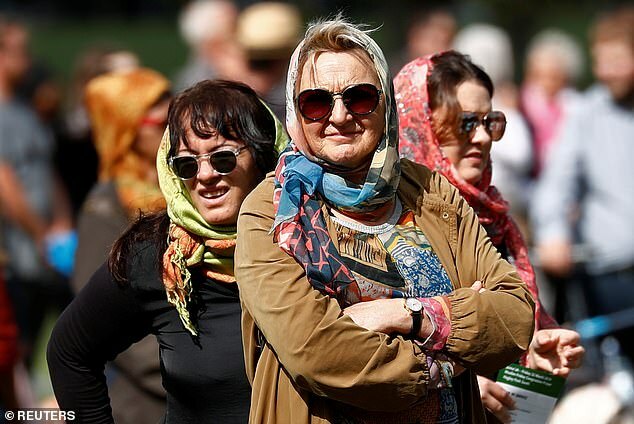 Hundreds of Muslims and non-Muslims gathered in the city’s Hagley Park opposite the Al Noor mosque – one of the sites of the mass shooting – for the solemn occasion. 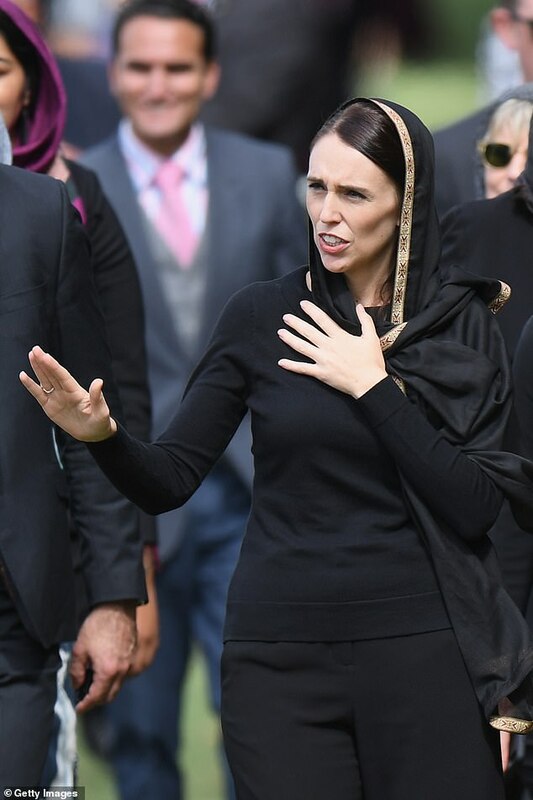 Prime Minister Jacinda Ardern, wearing a black and gold headscarf in solidarity with the Islamic faith, briefly addressed the emotional gathering. ‘New Zealand mourns with you. We are one,’ she said. Ms Ardern has drawn global praise for the way she has handled the fallout of the terror attack and her quick response to gun law reform. On one hand she has been noted for her sensitivity as she reached out and offered support to the Muslim community, but also her firmness as she vows to change gun laws in a bid to stop a repeat attack from happening again. 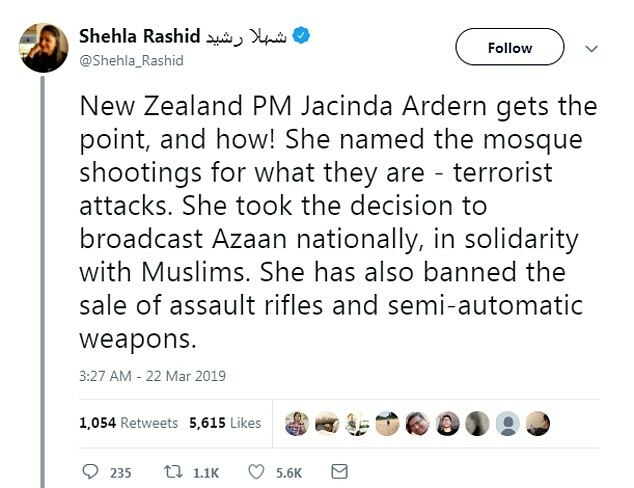 ‘New Zealand PM Jacinda Ardern gets the point,’ one person tweeted.